Imagine finding a job that is professionally interesting and personally rewarding. Chances are this would transform not just your work, but your life! We offer customized, affordable help. Our happy clients range from students seeking course advice to job seekers, career changers, people looking to diversify their work-lifestyle interests and organizations interested in mentoring programs. Our director has extensive industry experience. 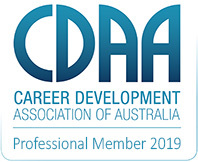 A qualified careers practitioner and professional member of the Career Development Association of Australia, her insights will help you navigate through a rapidly evolving education and employment landscape. Our private consultations promote self-awareness. Change is inevitable. We can help you adjust. Our expertise and strong writing skills help give you an edge in today’s highly competitive job market. Learn how to use social media to your advantage by creating professional development, networking and job opportunities. Job searching is rapidly evolving so let us teach you practical strategies to succeed the first time. We know the Australian education sector. Let us help you navigate options and find the right course for you. Using proven techniques, this will help you approach the interview with confidence. Change is inevitable; it is how we manage and adapt to change that defines us. Whether you are seeking a new job or contemplating a more fundamental change, we can help even if you are unsure what that change might look like. Can’t decide on a course or career? Not sure you are studying the right subjects? Worried about getting a job when you graduate? You are not alone to be daunted in today’s competitive market, particularly given the huge array of courses and career related information and opinions available. Many of our clients need help negotiating flexible work arrangements without sacrificing job status. 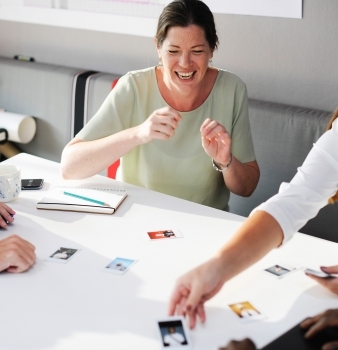 With personal experience and a special interest in progressive work environments, Career Confident is your first stop when you want to make your transition back to work a positive one. Our director, Helen Green, has critical, hands-on experience managing and growing the University of Melbourne Law School’s Mentor Program. Clients to benefit from our expertise include a national professional body in the construction sector. Our director, Helen Green, is a qualified careers practitioner with professional credentials that include over two decades of experience in senior education, research and career program management roles. A careers writer, her work has been featured in both the media and professional careers and education publications. Helen Green has postgraduate qualifications in Career Development and Education, English and Criminology and has worked across many sectors. Helen is certified to administer psychometric vocational testing. At Career Confident you can be truly confident that Helen will work hard on your behalf. It would be Helen’s privilege to work with you, provide careers advice and help you put your best foot forward. Career Confident – Career Coaching Melbourne. Helen is certified to administer psychometric vocational testing including the Strong Interest Inventory© and Morrisby Online©. Before meeting Helen, I was reaching a point where I was almost at a loss as to what direction I should take in order to pursue a new career in the legal sector. I had received so much advice and read so many career-related articles, many of them contradictory, that I had reached saturation point. Helen helped to steer me in the right direction by asking relevant questions and offering very balanced, insightful, and tailored advice. She is a very sincere, helpful, and inspiring person and these qualities shine through in the wonderful service she provides. Following my consultations with her, I felt much more optimistic and driven about my future. I would absolutely recommend her services to all job seekers! Recently I went through a gap between jobs. Through Helen’s experience and writing skills, she was able to listen to my thoughts and concerns and convince me what current employers want to see on your CV and LinkedIn profile. The new CV, along with a punchy personal summary and key words, now stands out to the recruiters and attracts them. I had more many profile views on Linkedin and was back in full time employment within two weeks!I cannot thank her enough for all her wise advice. I highly recommend Helen’s services. Her friendly but professional style meant that I felt confident speaking to Helen Green and knowing that I was in the best hands. She repeatedly gave me sound advice and guidance as I transitioned between careers. In what can be a difficult time, Helen provided rock solid support. Thank you Helen for being my career guru! Helen is the most approachable person I have ever seen. I first met Helen when I was struggling to find a job. I found her to be kindly and empathetic. She cheered me up when I was at the lowest point of my life. The most impressive thing about Helen is her advice WORKS. Her advice to me started with a big picture approach then moved on to useful practical steps to achieve that goal. I am very grateful for what she has done for me and would recommend you to see her if you ever need career advice. I am proud to recommend Helen. Helen was truly phenomenal as the Career Programs Consultant at Melbourne Law School. She was always available for students, showed empathy for our problems and often pre-empted the challenges we would face. The Mentor Program she established at Melbourne Law School has benefited students tremendously. It was a huge source of support and guidance for me, particularly as I was studying as an international student with no prior connections in the legal profession. It allowed me to establish a network in the Melbourne legal sector, assisted in getting my first legal job and provided me with valuable career advice. I cannot recommend Helen highly enough. She initiated, developed and managed programs for placing graduate students with mentors in the profession with efficiency, insight and skill. Her sense of the mentoring relationships that would work effectively with benefits for both parties was extraordinary. In part this is due to her own considerable negotiating skills and in part to her knowledge of the legal profession, widely conceived to include the government and community sectors and of the career pathways potentially available to students with particular interests. She also demonstrated a rare ability to work well with a very wide range of people, from students from different cultures, often with significant experience in their own countries, to leaders of the profession. I placed complete trust in Helen Green for these purposes; was never disappointed; and always enjoyed working with her. I have worked with Helen for some years on the Melbourne Law School student mentoring program. Helen has impressed me enormously with her intuitive and acute people management and relationship-building skills. Her 'stakeholder management' is excellent; in particular, she focuses consistently on ensuring that all participants in the program (both mentees and mentors) are getting the most out of it. She is thoughtful in the way she puts mentors and mentees together, and this has really helped to maximise the effectiveness of the program. She has been instrumental in building a program which is the envy of other law schools, and offers students an invaluable insight into the profession. I wanted to find a female careers specialist who was approachable and professional. With Helen I got all of this. I felt so comfortable with Helen. She listened to me, helped me find the best in me and had an amazing way with words. She helped me with an urgent job application, starting from scratch. It was the personal touches Helen put in that helped me get over the line and be short listed for a position with over 80 applications. Very happy! I didn’t think I needed a careers or employment consultant, but then I met Helen. Helen took the guesswork out of applying for jobs and going to interviews as she knew exactly what standards were required. Helen helped me do a cover letter that stood out and address selection criteria so that I was more focused on what prospective employers were looking for. This process with Helen instilled the confidence in me to impress at interview. Helen is an excellent Careers Consultant and I would recommend her to anyone. 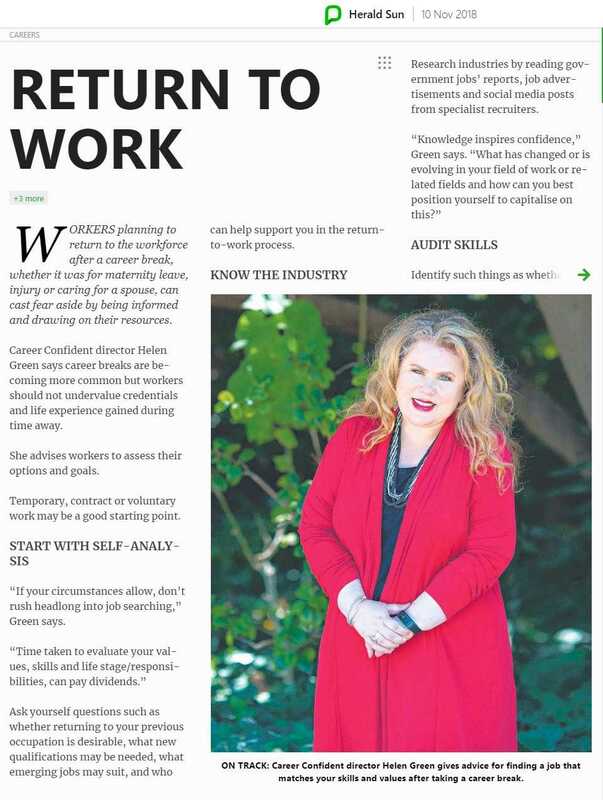 Helen generously provided her time to advise and assist us to set up a new, Australia-wide mentoring program for the Society of Construction Law Australia. Her advice proved invaluable and has supported a program which, in its inaugural year, attracted high calibre mentors and mentees. We are delighted to have engaged Helen to rerun our program for a second year and, even with Helen's early involvement, it has more than doubled in number. Helen's considerate and dedicated approach creates the supportive and caring base for our program. We are secure in Helen's very capable hands and can trust in the highest quality execution of our program in 2016. I have been employed in the building industry for over 30 years.I have a trade background but have been working in senior sales management roles for the last 10 years. I wanted someone to look over my résumé, prepare a good cover letter and help me update my LinkedIn profile as I thought they all needed improving. Helen was recommended to me through a friend. I was so pleased with the results. Helen listened and understood what I was after. Her writing is amazing and I now feel ready to take the next step with my work. She knows what she is doing and I would highly recommend her. As someone entering the work force for the first time, Helen's help was amazing. Helen spent time with me to work through what type of casual job would suit my interests and commitments. Helen helped me prepare my first CV, suggested the best ways to apply for a job and what to do in an interview. I'm very grateful for her help, kindness and genuine interest in my success. Thanks to Helen I was able to get my first job! I can't thank Helen enough for the advice and help she gave my 18 year old Year 12 daughter. Helen was able to give her some fresh ideas and strategies on both uni courses and outcomes in her field of interest. We both came away feeling really positive about her future! For anyone who is considering or going through a career change, Helen is the person to help guide you. Helen is warm and approachable with a huge amount of knowledge. I have had 2 sessions with Helen so far and have a new found confidence and direction. I have no hesitation in recommending Helen to anyone needing some assistance with career direction, CV writing, subject choices and personal branding. Helen greatly assisted my 15 year old daughter work through what type of part time job suited her best based on her interests and other commitments. She helped my daughter create a great CV even though she had no prior work experience. Helen also assisted with approaches to finding a job and interview skills. All of this meant my daughter was able to confidently secure her first part time job. Couldn't recommend Helen highly enough. Thank you Helen for reassuring my Year 11 daughter in her future subject selection at school & providing her with positive & informative ideas regarding Year 12, Uni & beyond. Even I learnt something!Loved the relaxed environment & the way in which you approached the topics with my daughter, in what can be quite a daunting time for teenagers.Would highly recommend Helen - a wealth of knowledge! I found Helen's career advice professional and insightful, she really boosted my confidence in applying for a new job and setting my sights higher. I would really recommend Career Confident to anyone who is setting out on a career journey for the first time, or if you need advice on a career change or the next step. Helen is a true professional. Not only was she warm and very welcoming, but she was very detailed and thorough in her approach. She listened to my story and understood my needs. 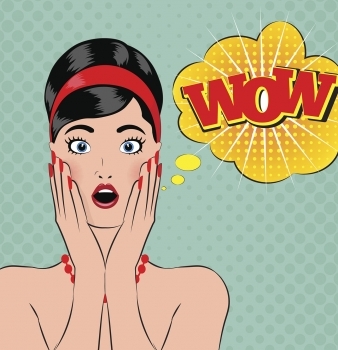 I was so thrilled with the way she remodeled by CV and cover letter. She has an amazing way with words. I couldn't recommend Helen highly enough! Numerous visits to the school's career counsellor always resulted in a bunch of brochures, plenty of frustration, more confusion and still no direction with university or career pathways. Helen took the time to listen to my year 12 son in a relaxed, non intimidating environment about his subject likes/dislikes, his passions and his hobbies. She always went the extra mile, researching uni courses and providing him with both endless information and the opportunity of a real hands on experience by arranging a one week stint at a well recognized Melbourne firm. I cannot recommend Helen highly enough for taking all the stress away and helping Lucas find direction for his future at University and beyond. Thank you Helen! In the midst of a career change, re-training with what I felt was a detrimentally varied career, and not entirely sure what direction to go in, I contacted Helen in the vain hope she might be able to point me in the right direction. Helen has done that and more in just two sessions.First, in helping me choose a direction to put my focus towards in our first session and with clear steps I could take. Second, in blitzing my CV into something that honestly and engagingly presents my background when before it had been more apologetic for my past and not very reflective of me. Third, and completely unexpectedly, in helping me see the value of my career history and increasing my personal confidence.A big thank you to Helen for all of her hard work and generosity. I highly recommend this service. I went along to a session with my daughter not knowing what to expect. She was unsure of which subjects would be the most suitable for the career path she wanted to pursue.My daughter and I were overwhelmed with all the choices that had been presented to us at the school careers night.In one short session Helen was able to determine which subjects my daughter required to complement her career choice.Helen was patient and asked the right questions to draw the information she needed to help my daughter. Helen explained why the subjects were beneficial and where they could lead to if my daughters career choice changed.We left the session feeling extremely confident. You feel helped when someone understands your situation and guides you through with achievable, realistic goals. Helen has an excellent skill in doing the same. I migrated to Australia and was confused with career paths. I had 11 years of professional experience prior but it was hard to define and plan my career path in Australia. Helen has done an exceptional task in setting up the right platform that enabled me to plan for the future. She is great at motivating and helping your confidence too. Meeting Helen has been a life altering experience for me and I highly recommend that anyone who is needing some guidance about his or her career contacts this amazing lady. In our first session Helen was not only able to help me focus on what I want to achieve in my career, but she also outlined the specific steps I need to take to achieve my desired outcome. Helen developed my CV, advised me on what courses to enroll in to improve my skill set, and made me feel confident that I have valuable things to contribute in my field. I am grateful for her advice and approachable manner. From the moment I met Helen, it was very clear that she possessed invaluable knowledge of careers, courses and professional development. Helen is very approachable and a pleasure to work with. I would recommend her services to anyone looking at their career. After being self-employed for a number of years, I re-entered the job market. I needed help and I worked with Helen. She did two specific things that helped me. She showed me what is now expected in the application and interview process and she showed me how to stand out in the crowd. The second thing was that she made me aware of the value that I offered to a business. The outcome was that I was successful in getting a job where I feel valued and where I can add value. Helen helped me completely revise my CV to focus on a new career direction. She listened as I talked about where I’ve been and where I want to go. She helped me to articulate my strengths and achievements and to highlight aspects of my experience to my advantage. Helen is professional as well as approachable and friendly. I highly recommend Helen to anyone seeking career advice. Helen has been a tremendous help to me in establishing a career path after a work injury. She helped me create a highly professional looking resume, write engaging cover letters, and get more callbacks for interviews. Helen has been a great support throughout this change in my life and given me renewed confidence in my career potential. I highly recommend her services to anyone looking for guidance and support in their professional lives. Helen was wonderful to work with. She provided clarity and helped me focus on the next step in my career. Helen was fabulous also in introducing new career streams that I hadn't considered before. She was very accommodating and assisted me at short notice which was much appreciated. Highly recommend her services. Helen is brilliant! She sensitively navigated my career confusion and insecurities, and then went on to offer many useful ideas, insights and advice. This gave me the reassurance that an exciting new phase of my working life lay ahead of me. I have now made a successful career change thanks to Helen's expertise. Over 75 reviews....will leave to you! I struggled with career change for quite a few years by now. Having worked in big Corporations for almost two decades, I found myself no longer satisfied with my job, yet feeling very lost about what to do next. I found Helen on internet – was very impressed by the numbers of positive reviews she has. It was exactly what I need – Helen very quickly pointed out that I have been over-analysing about career change, her outstanding communication skill allows her to convey the message in the way that I felt really understood. She is also very resourceful and provided me many insightful options to consider. With her help, I have now gained clarity of what to do next with a concrete action plan for the next 3 months! Thank you Helen! Making an appointment to see Helen was one of the best professional decisions I have ever made. Helen gave me volumes of information, guidance and tips to navigate the complex online job seeking environment. I regained my confidence in the short term and have begun to map out the long term. And I landed a job! Highly recommend Career Confident for anyone needing career help. Helen Green's professional industry knowledge is complimented by her ability to help people help themselves. She helped my adult son navigate an important career decision when he was at crossroads and he is now more focused and happy. Definitely a well named business. I have been applying for positions this year to no avail, and eventually contacted Helen from Career Confident. I left the first session absolutely more confident, not just in my own value as a job candidate, but in my ability to navigate the modern job market. In our sessions we covered everything from my CV to strategically assessing my LinkedIn profile, all the while getting to the core of what sort of career path I want to follow. Thank you Helen for your expertise and advice. Helen has been a tremendous help and support to me in establishing a career path after a work injury. She helped me create a highly professional looking resume, write engaging cover letters, and get more callbacks for interviews. Helen has been a great support throughout this change in my life, and given me a renewed confidence in my career potential. I highly recommend her services to anyone looking for guidance and support in their professional lives!